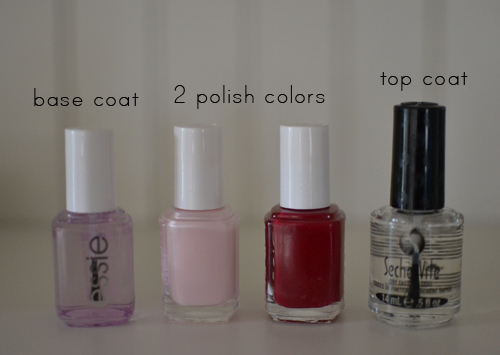 Essie's "Rock Solid" base coat, "Minimalistic", "Size Matters" and Seche Vite top coat. Apply base coat and 1 coat of light nail polish. Allow to dry completely. 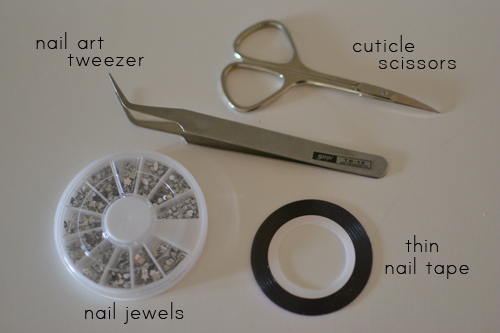 Cut nail tape with scissors and apply to nail. Since the tape is SO thin, I find that a small scissor (like a cuticle scissor) works best. 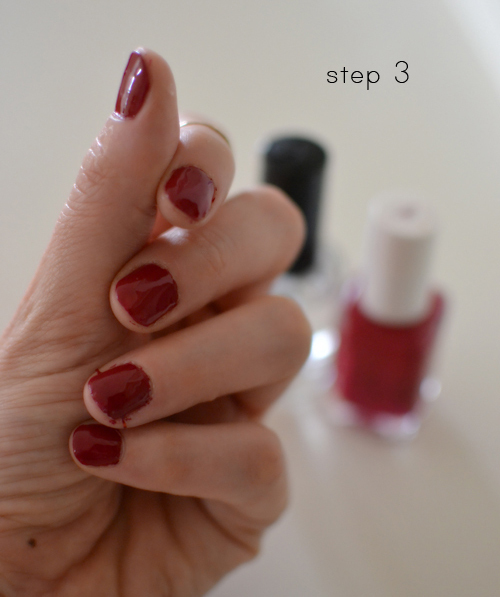 Apply 2 coats of darker nail color and top coat. Allow to dry completely. 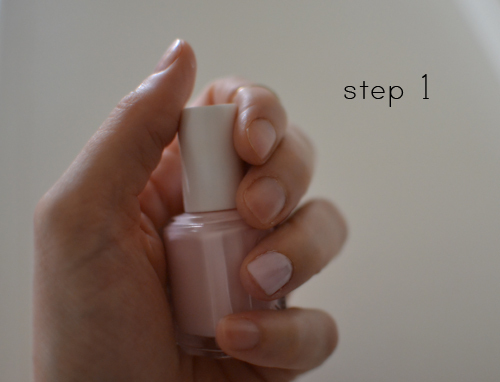 Clean up any polish that may have gotten on skin. 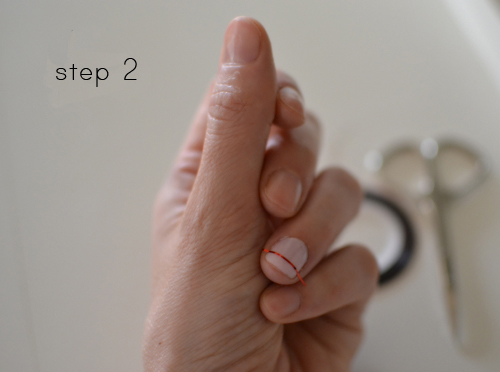 Remove nail tape to reveal lighter color. 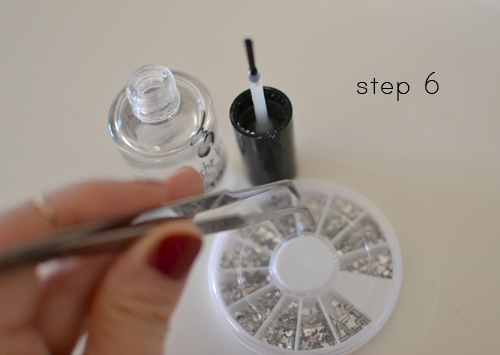 While holding the nail jewel with the tweezer, apply base coat to bottom. 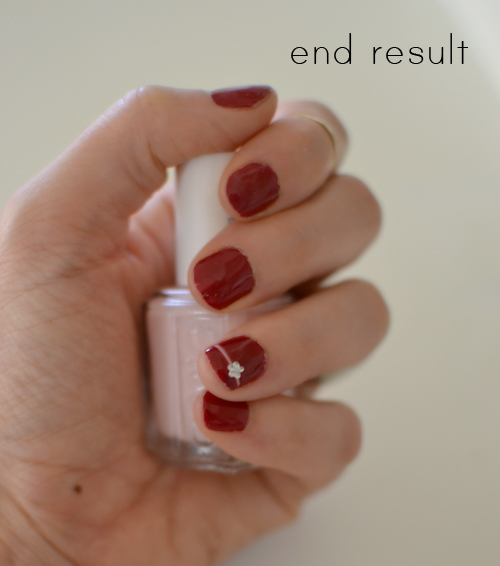 To do this, simply brush the bottom of the nail jewel against the base coat brush. 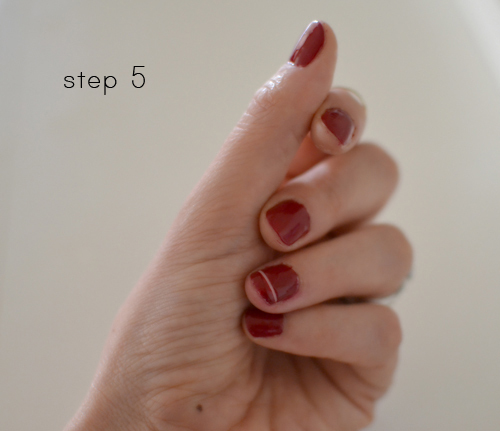 Immediately apply to nail with tweezer and you're all set! 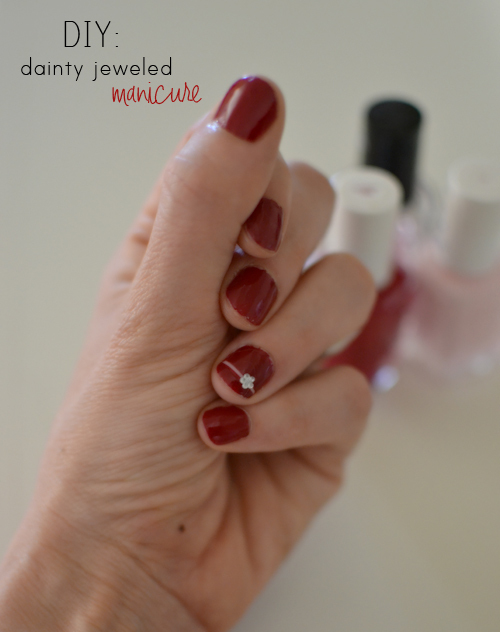 I love this manicure this is so pretty! I'm not gonna lie, I'm so impressed! You made this look doable, lol. I need to get on that nail tape asap! Ok, so this actually looks doable for me! Gonna give it a try! Thanks! Aw that looks so cute, I love it! SUPER cute! I haven't tried nail tape yet but I keep pinning fun manicures with it so I need to buy some ASAP!